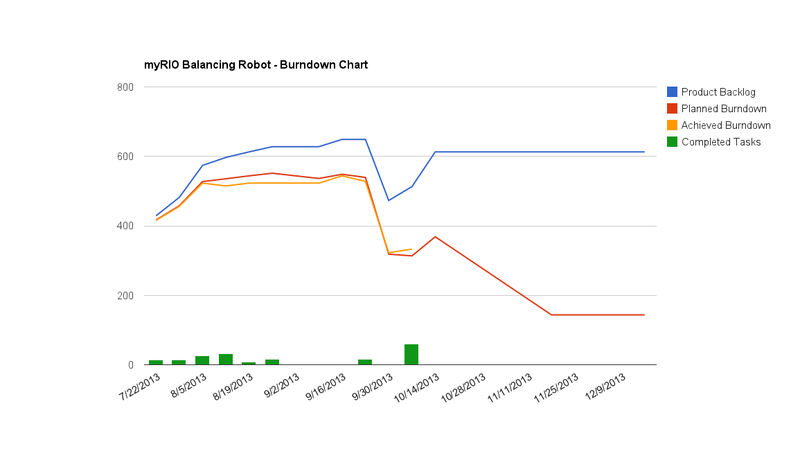 This Document is a short summary of development activities during Sprint 9 of myRIO Balancing Robot development. The TU-Darmstadt ADP Team decided to not work within the Agile Model. They want to perform their work in an standard process model. In order to still being able to plan the progress of the development process, their workload will be divided into the remaining sprints. This sprints progress will be defined as 50 Story Points. 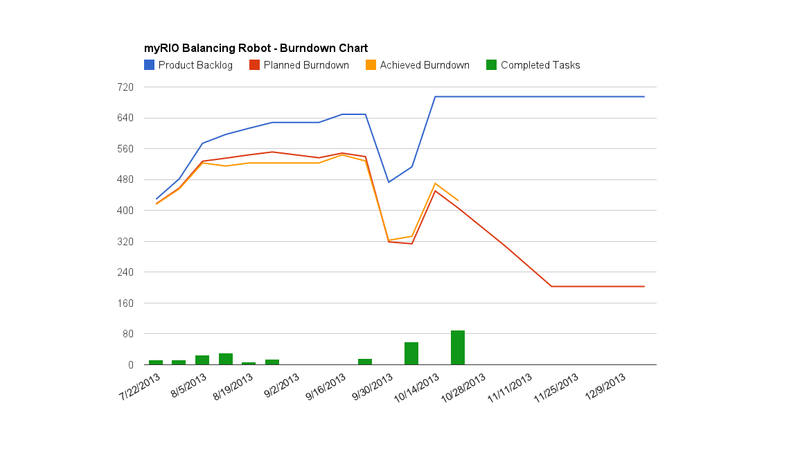 Burndown Chart at the Beginning of the Sprint. Product Backlog increases again. Introduction of U-043. Product Backlog increases again. See Impediment 2 and Impediment 3.